[back] Front:___,___,Chas Didzun,___,___. Rear:___,___,Edna Kingkade,___. 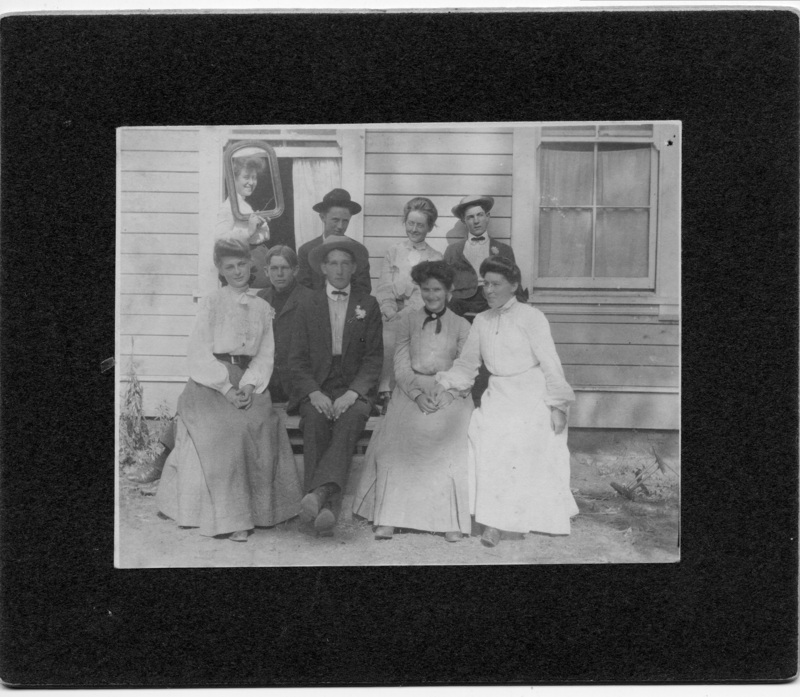 Description Edna Kingkade wears glasses and is second from the right in the back row. Charles Didzun is third from the right in the front row. Transcription [back] Front:___,___,Chas Didzun,___,___. Rear:___,___,Edna Kingkade,___.